To some people who know I so well would understand why most of the time I'm wearing nail polish in blue shades, blue is simply my favorite color. Today's nail polish is another shade of blue: Elianto "Indigo Shine". 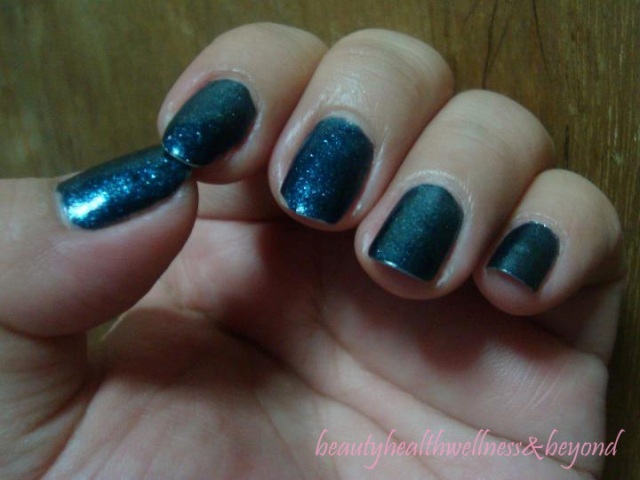 The color is dramatic and bold; the glitters just add a little more twist. It compliments so much a fair skin of your fingers so this one is a winner purchase! Its best to wear on the usual girls night-out but since I rarely go out, still, I feel this color can suits an everyday scene. 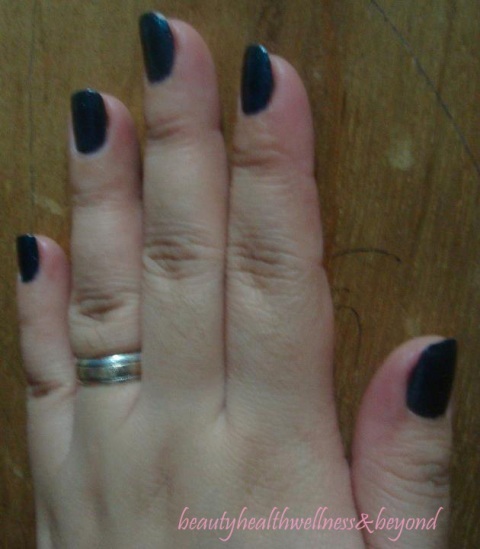 The price of a regular Elianto glitter-polish costs P199 per bottle but this one I got on sale at 50% off! Whoottt. I wish I could have bought more that same day because when I went back 3 days after, their sale is over.